Jerry Ward Autoplex is partnered with the best auto lenders in the nation to get you the credit you need. Value your trade now for free! Use our free, no-obligation Trade In Appraisal form. Jerry Ward Autoplex is partnered with the nations largest auto lenders. 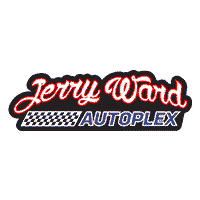 Jerry Ward Autoplex is the perfect place to find your next vehicle when you are looking to buy used. We have an extensive selection of all the vehicles that you want to drive including cars, trucks, SUVs, and more. What’s more, every one of our vehicles has been meticulously inspected for quality. This way you can be sure that you are always getting a great vehicle at Jerry Ward Autoplex.